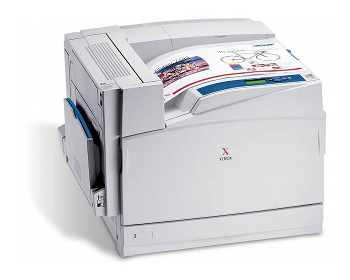 The Xerox Phaser 7760 offers many of the same items as the 7750, but right out of the box the base model comes with duplex printing and network support. A wide range of options and models make this color laser printer a fit for the home user who needs 12” x 18” color printing, to the inter-office publication department handling a high volume of print jobs. After the 9 second delay for the first page, using single-pass print technology the Phaser 7760 prints at speeds up to 35 ppm in color, and 45 ppm in black-and-white. In 1,200 x 1,200 dpi Enhanced Mode, smaller fonts and fine lines are sharp. The 600 x 600 dpi Photo Mode produces brilliant photographs. 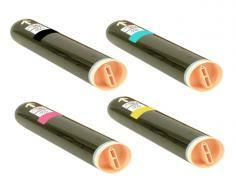 Polymerized toner helps enhances definition and sharpness, while giving photo-like glossiness on regular paper. With duplex printing standard, 2-sided prints can be achieved at speeds faster than many single-side color printers for awesome catalogs and magazines. The 7760 comes with a 500-sheet cassette tray that supports papers from recycled 17# to 80# cardstock, sizes ranging from 8.5“ x 11” up to 12” x 18”. The side panel hides a 150-sheet multi-purpose flip tray for labels, 4” x 6” post cards, envelopes, paper bond weights up to 100 pounds, and banner pages up to 47 inches. Additional paper trays and feeders can be added on for greater capacity and paper variety without reloading. The base-model 7760 comes standard with Ethernet and hi-speed USB. 512MB of expandable memory enables this Phaser to handle any size print request from any number of computers on the network. Understanding the printing needs of today’s businesses in providing support for the major software applications, Xerox has included HP PCL5c and Adobe PostScript3 print emulators to satisfy the most office demands. The 7760 also offers Adobe’s “PDF-Direct” print which enables PDF files to be sent directly to the Phaser for printing without opening an Acrobat application. For professional color matching in publication work, the Phaser 7760 can be set for Apple ColorSync, CIE, PANTONE, and Adobe PostScript color standards. The Phaser 7760 is available in two more models in addition to the base 7760DN: the 7760GX has the 7760DN features with additional trays for 1,500 more sheets, and the 7760DX with 2,000 more sheets of paper capacity. If you happen to start off with the base model all of the features of the other models are available as add-on options. You have two Finisher Units to choose from, with the Professional version giving full publishing features including staple, multi-hole punch, V-folding and binding for catalogs and magazines. The intuitive control panel on the Phaser 7760 has a LCD Display that defaults to show toner levels and information. The buttons are set up to make understanding what each one does pretty intuitive. The control panel, toner levels, printer information, configuration, errors, and network settings can be performed directly through the control panel or using Xerox’s CentreWare IS web application if you have the Ethernet option. Review it: "Xerox Phaser 7760 "
The Phaser 7760 uses Xerox’s Emulsion Aggregate toner, a resin-like ink for sharper imaging and less color bleeding. Prints that use polymerized toners like EA tend to have a nice glossy look and a waxy feel to them. 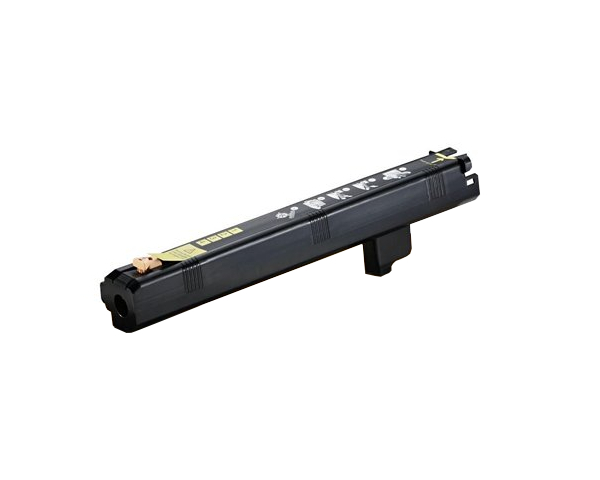 The toner for the 7760 must be some of the highest capacity toner for a non-copier product. The Black cartridge provides 5% coverage on 32,000 pages, and the other three colors 25,000 pages. Just remember that if you’re doing full-color spread layouts and photograph prints, the actual toner usage per page is going to be at least 10 times more, reducing the number of pages you can get out of a cartridge. Other consumables to consider are replacement of the imaging units (drums) after every 35,000 pages; the fuser and transfer roller every 100,000 pages, and the waste toner bottle every 27,000 pages.